After the huge success of 2012’s Avengers, it became inevitable that we’d see more of that film’s superheroes on their own. 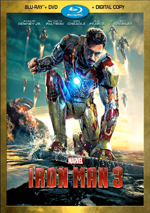 First came a third Iron Man film in summer 2013, and then a second Thor effort reached screens in fall 2013. After commercially disappointing movies in 2003 and 2008, Marvel seems reluctant to give the Hulk another shot at his own solo adventure, so that left one main Avenger to return: Captain America. He came back to us with 2014’s The Winter Soldier, a tale that found Cap in a tough position. After decades literally on ice, Steve Rogers/Captain America (Chris Evans) continues to adjust to life in the 21st century. When not with the Avengers, Cap works with SHIELD, a secret espionage/law enforcement organization headed by Nick Fury (Samuel L. Jackson). Cap finds himself uncomfortable with the moral lapses he perceives at SHIELD and even Fury himself starts to worry when a hijacking threatens the security of a secret warship program called “Project Insight”. An attack involving a mystery man known as “The Winter Soldier” (Sebastian Stan) leaves Fury mortally wounded and branded a potential traitor by SHIELD bigwig Alexander Pierce (Robert Redford). Subversive elements within SHIELD cause Cap to turn renegade and strike out on his own. We follow Cap’s attempts to get to the bottom of matters, which he does with the assistance of SHIELD agent Natasha “Black Widow” Romanoff (Scarlett Johansson) and war veteran turned superhero Sam “The Falcon” Wilson (Anthony Mackie). Of all the movies that led to Avengers, I liked the last one best. Captain America: The First Avenger hit screens less than 10 months prior to the release of Avengers and became the most satisfying of the bunch. Though not perfect, I felt First Avenger offered a nice take on the character and a fun adventure. As one might expect, this meant Winter Soldier provided the Avengers successor I most eagerly anticipated. Does it live up to my hopes and expectations? Not quite – while it gives us a mostly enjoyable experience, it comes with more flaws than I would prefer. Most of the movie’s problems relate to its story. At its heart, Soldier wants to be a 1970s spy thriller ala 3 Days of the Condor but this one seems too convoluted and murky. It also tends to lose its lead character along the way. This often feels like a SHIELD movie, not a Captain America affair, as we spend so much time with Fury and Black Widow and whoever else that poor Cap gets a bit lost in the shuffle. Occasionally I get the feeling that the suits at Marvel care too much about having all the various characters integrate. Why can't a Captain America movie be about Captain America? Why does it need to tie to Avengers and SHIELD and whatnot? Has “market synergy” become such a big deal that these characters can no longer stand on their own? I think the camerawork in Soldier leaves something to be desired as well, as we find too much “shakycam”, and that becomes a particular problem during dialogue/exposition scenes. Some modern filmmakers seem to feel afraid that if the movie ever lacks “urgency”, the audience will bail, so they infuse every scene with quick cutting and fast-pacing. Sorry, but a simple dialogue scene doesn’t need choppy editing and a never-resting camera. An inability to keep the camera still doesn’t make these scenes dynamic – it makes them annoying. On the positive side, the movie does very well when it comes to it action scenes. Despite all the participants and mayhem involved, they manage to remain focused, concise and exciting. Given the nature of superhero films, action becomes the most important factor, and these sequences excel. The actors also manage to keep us interested. I really liked Evans’ Steve/Cap in the first movie, and I continue to think he does well here. Even though Cap feels a little buried, Evans still makes sure we understand the role, and he avoids any form of winking at the camera despite Cap’s inherent squareness. I view Winter Soldier as more of a mixed bag than the first film, but I do mostly like it – especially now that I’ve seen it more than once. On subsequent screenings, the plot machinations seem like less of a burden and the movie’s strengths come through better. The flaws still remain, but the flick manages to overcome them well enough to be enjoyable. Footnote: like most Marvel movies, Winter Soldier comes with added sequences both in the middle and at the finish of the end credits. In an unusual twist, both segments hint at future developments; recent post-credits tidbits have existed as fun gags, but this one gives us something meatier. 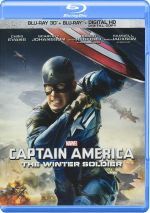 Captain America: The Winter Soldier appears in an aspect ratio of approximately 2.40:1 on this Blu-ray Disc. While I thought much of the film looked good, a few elements seemed a bit lackluster. For the most part, sharpness appeared positive. However, fine detail was lacking in some shots. Although these instances were minor, they meant that the delineation wasn’t quite as consistent as I’d like. As one might expect from a flick like this, Winter Soldier provided a stylized palette. Colors tended toward a green/blue feel, with a restrained sense of hues across the board. These never looked dynamic, but they came across as intended. Blacks showed good depth and darkness, while shadows usually were solid. A few shots seemed slightly dense, but those occurred infrequently. Though most of the movie provided solid visuals, the occasional lapses dropped it to “B” level. No inconsistencies affected the excellent DTS-HD MA 7.1 soundtrack of Winter Soldier. With a variety of action and ambient elements, the audio brought the events to life in fine fashion. Fight sequences added the greatest punch, and the pieces used all the speakers to great advantage. Quieter scenes contributed good breadth and smoothness as well. All of this meant the audio filled out the spectrum in a nice manner. Sound quality satisfied. Speech was natural and concise, without edginess or other issues. Music demonstrated good range and clarity as well. Effects worked the best of the bunch, as they were consistently dynamic and vivid. All in all, this was an active and engaging soundtrack. The set includes both the film’s 2D and 3D versions. The picture comments reflect the 2D edition – how did the 3D compare? Visuals seemed virtually equivalent. I thought the 3D version offered the same strengths and weaknesses as its 2D counterpart. As for the stereo imaging, the 3D Soldier added a bit of zip to the proceedings. Fights fared best, as various elements – Cap’s shield, weaponry, aircraft – managed to pop out of the screen in a modest but useful manner, and the package boasted a consistently fine sense of depth. Though not the strongest 3D presentation I’ve seen, this one became a satisfying way to view the movie. In the future, I’ll go 3D when I watch Soldier. When we look at the set’s extras, we open with an audio commentary from directors Anthony and Joe Russo and screenwriters Christopher Markus and Stephen McFeely. All four sit together for this running, screen-specific discussion of story/character areas and influences/inspirations, stunts and action, cast and performances, sets and locations, various effects, music and editing, and connected subjects. From start to finish, this becomes an engaging chat. I like the emphasis on story issues, as we get a nice overview of narrative domains. We also learn a lot about general movie-making in this thorough and likable discussion. A few featurettes follow. On the Front Line: An Inside Look at Captain America’s Battlegrounds runs 10 minutes, 11 seconds and includes notes from the Russos, Markus, McFeely, producer Kevin Feige, co-producer Nate Moore, stunt doubles Heidi Moneymaker and Samuel Hargrave, stunt coordinator Thomas Robinson Harper, special effects coordinator Daniel Sudick, and actors Chris Evans, Georges St.-Pierre, Scarlett Johansson, Samuel L. Jackson, and Sebastian Stan. “Line” examines stunts and action, sets and locations, and camerawork. Though it rushes through these subjects, it gives us a decent take on the topics along with some good footage from the sets. On Set with Anthony Mackie: Cut the Check! lasts a quick one minute, 55 seconds and offers info from the Russos, Evans, and actor Anthony Mackie. The short looks at a phrase Mackie likes to utter at the end of a shot. It’s cute but insubstantial. For the last featurette, we get the two-minute, 26-second Steve Rogers’ Notebook. It features Moore as we learn more about the list of cultural icons about which Steve wants to learn. Moore covers changes made for different countries, and that adds a fun twist. Four Deleted and Extended Scenes go for a total of three minutes, 36 seconds. We find “Hill and Sitwell Talk Loyalty” (1:00), “In Pursuit of Captain America” (1:04), “Nick Fury’s Circle” (0:49) and “Widow Reveals Her Past” (0:41). These tend to be small character moments and don’t add much. They’re eminently forgettable for the most part. 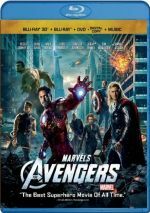 We can view the deleted scenes with or without commentary from the Russos, McFeely and Markus. They tell us a little about the sequences as well as why the segments got cut. We find some decent notes. Finally, we get a two-minute, 37-second Gag Reel. It delivers the usual roster of mistakes and laughs. It’s mostly banal, but a few amusing improvs show up along the way. 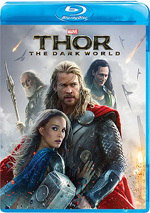 The 2D disc opens with ads for Guardians of the Galaxy, Agents of SHIELD and various Marvel movies. These also appear under Sneak Peeks along with promos for Avengers Assemble and Hulk and the Agents of SMASH. No trailer for Soldier appears here. The 3D disc throws in a 3D trailer for Guardians of the Galaxy, though. As a follow-up to the highly enjoyable First Avenger, Captain America: The Winter Soldier doesn’t quite match up to expectations, mainly due to too many characters and a somewhat convoluted plot. Nonetheless, it delivers enough action and charm to turn it into an entetaining film most of the time. The Blu-ray presents generally good picture along with terrific audio and a set of supplements highlighted by an informative commentary. Despite a few issues, Soldier largely works, and the 3D version becomes a good way to watch it.